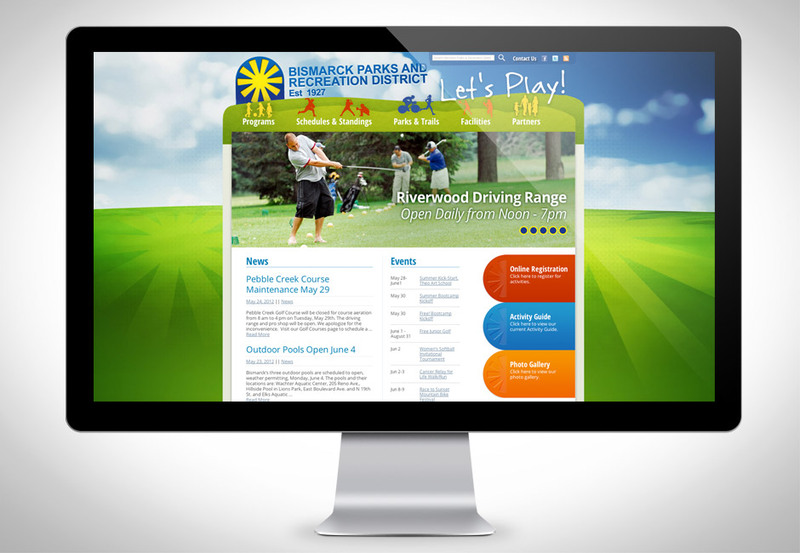 To update and redesign the Bismarck Parks & Recreation website for a more user friendly experience. MABU created a fun new design to better reflect the organization, programmed a homepage slider area for the latest announcements, reorganized the content and navigation for easier accessibility, and made the site more attractive and compatible for users and the client. Aligning with the organization’s brand identity of fun and opportunities for year-round activity, the website created a better online user experience, increasing digital engagement.